LEAD NURTURE – Why is marketing automation critical for small to medium business? Marketing automation can seem daunting at first, but once set up it can have a major impact on your bottom line. But how does it drive growth? When done right, marketing automation can increase the conversion of potential customers to paying customers. It allows you to personalise your email, based on the specific areas the potential customer has visited or reacted to your website that. This gives you important information about what they want and what their potential pain or passion points may be. Sales conversions to are increased by ensuring potential customers receive the right type of message at the right time in their decision making process and are nurtured to a sales over a set period. One of the keys to having a successful business is not just reaching and converting more potential customers, it’s turning existing and past customers into repeat customers. Marketing automation allows you to set up communication sequences that automatically drive a current customer to a follow on purchase… and the best thing about that is you don’t need to spend any additional time or money on that repeat sale, like you do for a new customer. It’s all done automatically through the automation sequence. Once you have a gained the trust and loyalty of a repeat customer, marketing automation can then help you nurture them into brand champions. Spreading the word to their friends, colleagues and social network about your business. This is the ultimate key to driving major growth. Marketing automation also allows you to continue to communicate with past customers, who may not be ready to make another purchase. These emails keep them engaged over an extended period, using automation sequences that are slowly dripped out over time. This communication is more of a soft sell, including valuable information such as trends, tips, seasons, events and new offers to trigger a reaction. This ensures that when the customer is ready for a new purchase, you are there at the right time to make the sale. Small and medium sized business have limited resources and staff. Automating emails, as well as marketing and sales tasks, saves hours and hours of manual work each week. This means you can utilise your resources more effectively and focus more time on delivering a better product or service which helps to achieve growth. 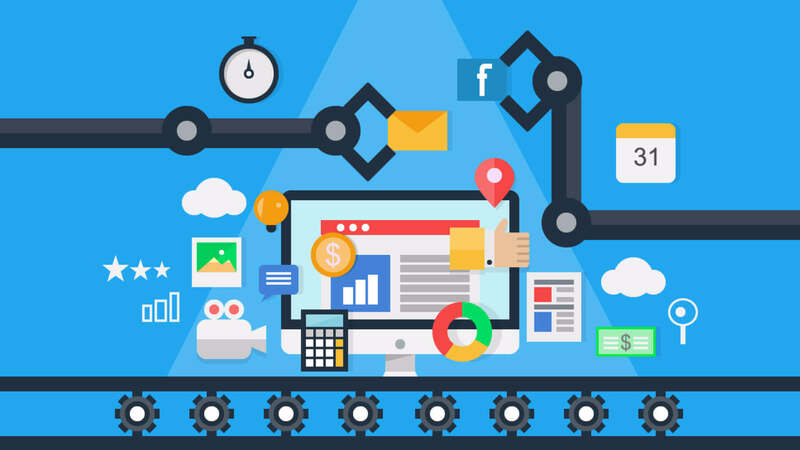 So when considering whether to set up marketing automation, remember that it is one of the most cost efficient and fastest ways to increase sales and achieve lasting growth for small and medium businesses.